When Ayres was six, she started her first day at school. Her parents sent her to study in Roehampton. When she was eleven, she finally read. Her passion in art occurred when she left school. She wanted to study art so she enrolled at the Slade School of Fine Art in 1946. But the official of the school wanted her to enroll at the Camberwell School of Art because she was so young at that time. So she did the advice and studied art in the Camberwell School of Art between 1946 and 1950. I can see that Ayres was a hardworking woman. From 1951 to 1959, she worked at the AIA gallery in Soho as a part time worker. She shifted her job as a teacher. 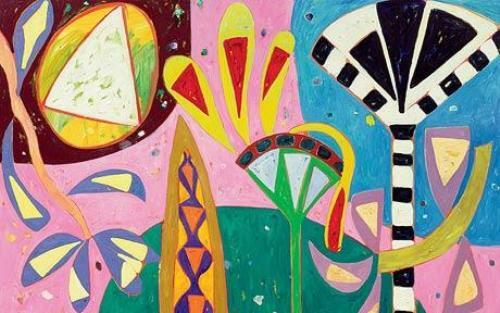 During her teaching career from 1960s to 1970s, she knew a lot of painters. She became good friends of them. 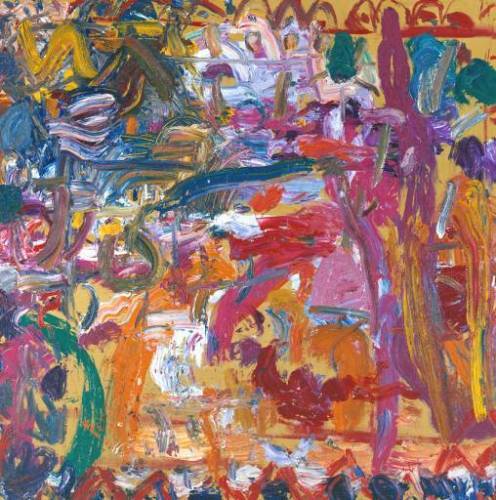 Some best friend painters of Ayres were Roger Hilton, Robyn Denny and Howard Hodgkin. It seems that her teaching career was in the peak when she became the senior lecturer at Saint Martin’s School of Art, London. In 1978, she was the head of painting at Winchester School of Art. Ayres decided to try as a full time painter. She left the teaching job in 1981. Then she moved her residence at Llyn Peninsula in north-west Wales. But then she decided to move again to a cottage at Morwenstow in 1987. Finally in 1956, Ayres showed her first exhibition. This wonderful event was held at gallery One, London. Most of her paintings were created in simple form. She only used vinyl paint at that time. 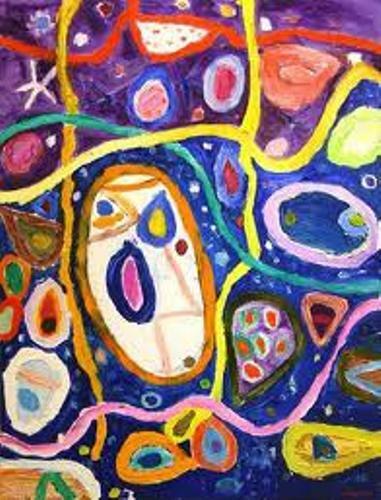 In the later work, you can find her painting is more colorful for she decides to use the oil paint. There are some famous paintings that Ayres had created in her life. Those are A Midsummer Night (1990) and Anthony and Cleopatra (1982). In 1951, Ayres, married to Henry Mundy. He was also a painter. Both got divorce for 30 years. However, they live together now. Both have a son who is painter too. His name was Sam Mundy. 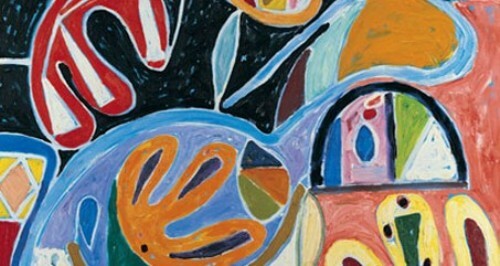 In 1989, Ayres was appointed for the Turner Prize. In 2011, she was taken as the Commander of the Order of the British Empire. 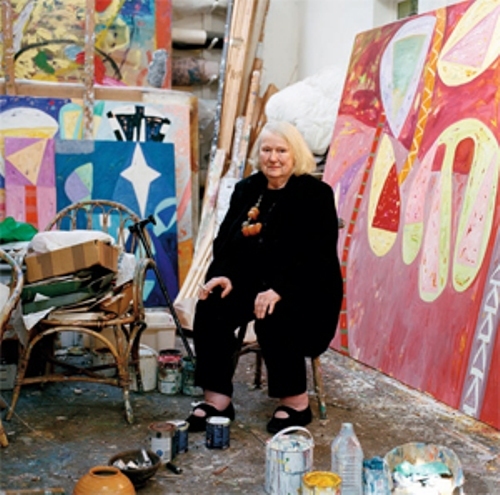 Do you have any more ideas on facts about Gillian Ayres?